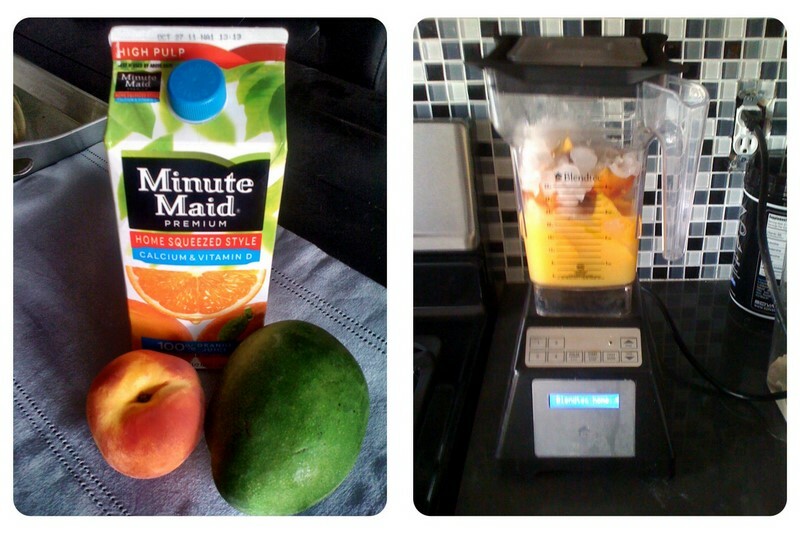 The best gadget we ever bought is our Blendtec blender. It is amazing! We use mostly it to make shakes and smoothies. 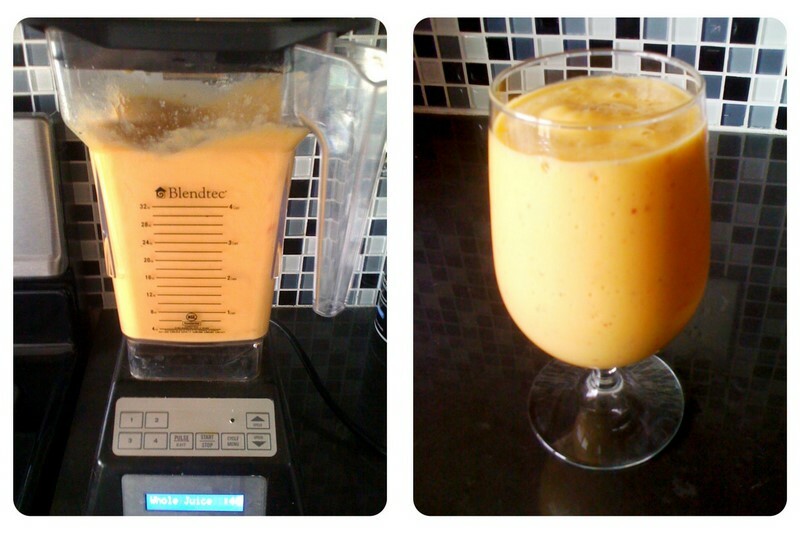 Today I made an orange juice, mango and peach smoothie. I just cut up a large mango into chunks, sliced a peach (with the skin), and put in half water, half orange juice for the liquid. I threw in a scoop of protein powder and some ice. The blender does it's magic and 50 seconds later I have a smooth, delicious breakfast. I want to break into your house and steal it! Did the mango have peel?